Help!! We have bare spots in our lawn. They seem to be worse this spring. How should these be treated? If it is happening in spots, then you likely have a fungus. 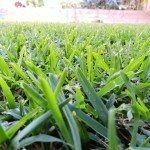 Which is is would be hard to say without knowing the symptoms, but this article outlines the most common: https://www.gardeningknowhow.com/lawn-care/lgen/grass-fungus.htm The best thing to do is to treat the lawn with a fungicide and then reseed the bald areas.